[p.48] The principle of paper making by machinery is simply this: instead of employing moulds or felts of limited dimensions, as was originally the practice, the peculiar merit of the invention consists in the adaptation of an endless wire gauze to receive the paper pulp, and again an endless felt, to which in progress the paper is transferred; and thus by a marvelously delicate adjustment, while the wire at one end receives but a constant flow of liquid pulp, in the course of two or three minutes the finished fabric is carefully wound on a roller at the other extremity. The largest paper made by hand, termed [p.49] Antiquarian, measures 53 inches by 31, and so great is the weight of liquid pulp employed in the formation of a single sheet, that no fewer than nine men are required, besides additional assistance in raising the mould out of the vat by means of pulleys; while by the aid of the paper machine, the most perfect production may be ensured, of a continuous length, and eight feet wide, without any positive necessity for personal superintendence. Instead of counting sheets in course of production, as formerly, or even measuring the length by yards, we may actually have the paper drawn out as it were, and wound up, miles in length. In the recent Dublin Exhibition, a sheet was exhibited which was said to have been of sufficient length to wrap around the world; but, I must confess, that I am not in a position to couch for the accuracy of the statement. An anecdote, however (the truth of which I have no reason to doubt) of the patentee of this machine, and a relative or friend of his, of some considerable standing and influence in the pottery district, who were dining together about the period at [p.50] which this machine was first adopted; when this one, speaking of the advantages which he conceived the new mode would prove to his friend, alluded above all others to the remarkable capacity which it possessed of producing paper of any length that could possibly be required. “Well,” said his friend, “I very much doubt that; but if you can make me five miles of the quality I require, I shall certainly have little hesitation in admitting all the perfection and suitability which you have laboured to impress upon me.” The very next day the machine was set to work, and timed, in order to ascertain the required length wound upon a reel, which, after being charged with Excise duty, was forwarded to its destination; and, as may be conceived, to the utter astonishment of his incredulous friend. It is a fact, which deserves to be noticed for its singularity as well as for the strong point of view in which it places the merits of this invention, that an art of such importance to society as that of the manufacture of paper should have remained almost dormant for at least eight centuries since paper is first believed to have been in use, and that upwards of 200 of those years should have elapsed since its first introduction into England, without any mechanical improvement whatever as regards the processes which were then employed. It is true, that various attempts from time to time were made, but in every instance they appear to have met with very little success. In France, an ingenious artist (Monsieur Mongolfier) contrived three figures in wood to do the work of the vatman, the coucher, and the layer; but, after persevering for six months, and incurring considerable expense, he was at length compelled to abandon his scheme. And although paper was previously manufactured in China, in Persia, and indeed throughout all Asia, sometimes of considerable length, it was so, not by machinery, but by means of a mould of the size of the paper intended to be made, suspended like a swing, and having men placed at the distance of about every four feet, for the purpose of producing an uniform shaking motion, after the mould [p.52] had been immersed in the vat, in order to compact the pulp. Such, then, was the rude state of this important manufacture, even up to the commencement of the present [19th] century, when a small working model of a continuous machine was introduced into this country from France by Mr. John Gamble, brother-in-law- to Monsieur Leger Didot, the proprietor at that time of the paper manufactury at Essone. The individual to whose genius we owe that beautiful contrivance, which has since been adopted wherever the want which it was designed to remedy has been truly felt, and which has contributed in an eminent degree to the advancement of civilization, was an unassuming clerk in the establishment of Monsieur Didot, named Louis Robert, who following his favorite pursuit of inventing and improving, not infrequently had to bear the reproach of wasting time on an invention that could never be brought to perfection. Fortunately, however, the patience and attention of this persevering man were at length sufficiently rewarded by the completion of a [p.53] small model, not larger than a bird organ, which enabled him to produce paper of a continuous length, although but the width of a piece of tape. So successful was this performance, that his employer, instead of continuing to thwart his progress, was now induced to afford him the means of making a model upon a larger scale; and in a few months a machine was completed, capable of making paper the width of Colombier (24 inches), for which the consumption in France was very great. After a series of experiments and improvements, Louis Robert applied to the French Government for a patent or brevet d'invention, which he obtained in 1799 for a sum of 8,000 francs as a reward for his ingenuity. The specification of this patent is published in the second volume of the “Brevets d'Inventions Expirés.” Shortly afterwards M. Didot purchased Louis Robert's patent and paper machine for 25,000 francs, to be paid by instalments; but not fulfilling his engagements, the latter commenced legal proceedings, and recovered possession of his [p.54] patent, by a decision dated June 23rd, 1801. 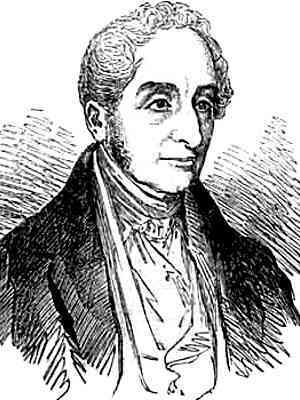 Towards the close of the year 1800, M. Didot proposed to his brother-in-law, Mr. Gamble, that patents should be taken out in England, and suggested that he, being an Englishman, and holding a situation under the British Government, would in all probability accomplish it without much difficulty. To this proposition Mr Gamble assented, and in the month of March, 1801, he left Paris for London, where, happily for the vigorous development of this project, he obtained an introduction, immediately upon his arrival, to one of the principal wholesaler stationery houses in Great Britain—a firm of considerable opulence—and to those gentlemen he mentioned the nature and circumstances of his visit, at the same time showing them several rolls of paper of great length, which had been made at Essonne by Louis Robert's machine, and which induced them to take a share in the patent. The firm alluded to was that of the Messrs. Fourdrinier—a name which has indeed become alike famous and unfortunate—and this [p.55] transaction it was which first connected them with the paper machine. In the year 1801, Mr, Gamble returned to Paris, and concerted measures with Monsieur Leger Didot and Louis Robert, to have the working model, which was then at Essonne, sent over to England to assist in the construction of other machines; and the following year M. Didot arriving in London, was introduced by Mr. Gamble to Messrs. Fourdrinier, when a series of experiments for improving the machine was considered desirable, and at once commenced. But in order to accomplish the arduous object which those gentlemen then had in view, they laboured without intermission for nearly six years, when, after incurring an expense of £60,000, which was borne exclusively by the Messrs. Fourdrinier, they at length succeeded in giving some further organization, and connection to the mechanical parts, for which they likewise obtained a patent; and finding eventually there was little prospect of being recompense for labour or risk, or even reimbursed their expenses, unless Parliament should think [p.56] proper to grant an extension of the patent, they determined upon making a fresh application to the Legislature for that purpose. But it would appear that although in the Bill, as it passed the House of Commons, such prolonged period extended to fourteen years, in the Lords it was limited to seven, with an understanding that such term should be extended to seven years more in the event of the patentees proving, upon a future application, that they had not been sufficiently renumerated. No such application, however, was made, in consequence of a Standing Order of the House of Lords placed in their Journal subsequent to the passing of the said Act; which regulation had the effect of depriving the Messrs. Fourdrinier of any benefit whatever from the invention; and ultimately, so great were the difficulties that they had to encounter, and so little encouragement or support did they receive, that the time and attention required to mature this valuable invention and the large capital which it absorbed, were the means of reducing those wealthy and liberal men to the humiliating condition of bankruptcy. Powerful and influential as is that journal, however, this worthy man was still left to combat so bitter a reverse, without even the means of procuring comfort in his declining years. But I am happy to say that an appeal has since been made to that particular branch of trade so materially benefited by the invention, the paper manufacturers, in order to furnish the surviving claimants upon the public gratitude with a competent annuity for the remainder of their days. And I sincerely hope that the results of this laudable effort may have proved to be as worthy the spirit of its originators, as on the part of the public generally it deserved consideration, as being supremely a [p.59] national duty. For, be it remembered, that while the value and importance of such an invention to the paper maker is sufficiently clear and conclusive, from the fact of its general adoption throughout the United Kingdom, by no less than 700 manufacturers (averaging, probably, twice that number of machines); so on the other hand, we surely cannot remain unmindful of its effects and benefits upon ourselves, when, in contrasting the results of the paper-making machine with the productions of the former period, we find the cost reduced to the consumer considerably more than one-half, in some instances to actually a fourth. Fourdrinier Patent 2951 (1806) - Method of making a machine for manufacturing paper of an indefinite length, laid and wove, with separated moulds.